NFU Mutual was formed in 1910 and is officially known as The National Farmers Union Mutual Insurance Society Limited. It was started by just seven men who wanted to entice new members to the farmers union by offering insurance at cost price. In 1998 NFU Mutual began to insure iindividuals and businesses outside of the farming industry and has seen rapid growth in the years since. MFU Mutual have over 300 branches nationwide and currently only trade in the UK, Channel Islands and the Isle of Man. MFU offer a range of financial services including insurance, investments, pensions, life assurance and risk management. MFU Mutual is also owned by its Policy Holders and a large proportion of its profits are returned to customers in the form of a discount off the cost of renewals. The discount ranges from 6% – 10% depending on the number of years that the policyholder has been using with NFU Mutual. NFU Mutual also offer new for old replacement on cars up to 2 years old providing it is a UK model and becomes damaged beyond economical repair. A courtesy car is available as standard for up to 14 days after reporting an accident providing you use one of the NFU’s approved repair shops. Unlike other insurance providers, NFU Mutual do not charge any admin fees should you need to make any changes to your polciy. Personal belongings are covered up to £250 and excess for a theft is at an industry low of £100. 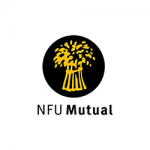 NFU Mutual also run a young drivers scheme for the children of farming customers who are aged 17-21 and choose NFU Mutual for thei car insurance. The three year programme is provided through Drive Doctors and aims to increase awareness and safety on the road. 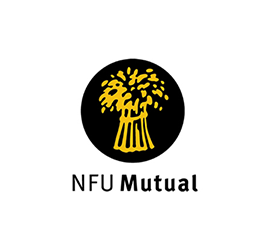 NFU Mutual will also accelerate the no claims bonus, giving an extra year at the start and end of the scheme, meaning a you can build up five years worth of discount in just three years, but this can only be used when renewing a NFU Mutual policy.